From Goodreads: Orphaned at six and sent to live with abusive relatives in Bucharest, Mariah learned early in life to box up violent, agonizing memories and put them in permanent mental storage. Now almost nineteen, she has a paying job, a tiny apartment, and a plan to attend university. She loves her independence and is steadily overcoming her past, but when an enigmatic stranger walks into the pub where she works and the trajectory of her life changes yet again, she begins to wonder if she’ll run out of mental shelf space. Perhaps the darkest novel of The Mephisto Covenant series to date, Trinity Faegen once again captivates readers as she tackles the very raw topic of abuse. Mariah, biological sister to Jordan (who is the heroine of the second novel, The Mephisto Kiss), takes the forefront in this third installment, allowing readers to connect with her on a much more personal level as the story delves deeper into her life, unleashing the scars of her past that readers so briefly learned about in The Mephisto Kiss. Readers beware, this novel touches upon both physical and sexual abuse, and while extreme details are not given, the allusion of these acts against a child create vivid enough depictions and it is impossible not to feel Mariah’s pain as she attempts to heal, especially as she begins to open up to Phoenix and tell how she survived. Faegen does something extremely interesting in this series, which is something not often attempted by writers, and it is that she overlaps the storyline of The Mephisto Mark with its prequel, The Mephisto Kiss. For those who have read the prior novels in the series, you may note that Mariah’s story sounds very familiar because we’ve indeed heard it before in the second novel. However, whereas The Mephisto Kiss skates over much of Mariah’s life, focusing more so on the points that deal with Jordan, from her adoption from an orphanage to her reuniting with Mariah, readers get the other side of the story in The Mephisto Mark. Here, readers who wondered how Mariah survived while Jordan grew up in luxury get their answers, and while it isn’t a pleasant or happy story, it is beautifully told. It’s gut wrenching at times, but Mariah is a triumphant survivor of abuse, and as she works through her past, she opens doors for others, such as Phoenix, allowing him to move on and do what’s right by all his brothers and the memory of Jane. 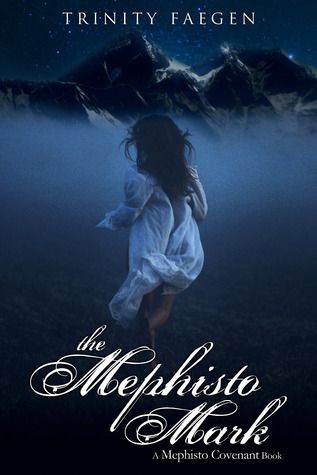 The Mephisto Mark also charges on past the cliffhanger from The Mephisto Kiss, shedding light on what happens after Jordan’s naive decision concerning Eryx, weaving the two novels together even more as the story unfolds. It’s a perfect set up, in my opinion, and I love how seamlessly both novels intertwine. This is also why I strongly believe that readers of this series should read these novels in order. While it is true that a new reader to the series could actually begin with The Mephisto Mark, I strongly advise against it for a number of reasons. Because of the deep intertwining between The Mephisto Kiss and The Mephisto Mark, I believe too much information would be divulged concerning the events in The Mephisto Kiss and Jordan. Likewise, a truth is outted in The Mephisto Mark that, until this third installment, I believed to be wholeheartedly true. I was surprised to learn that it wasn’t, which is turn changed everything, especially as it’s a main focus in both of the prior novels, and this is another reason I believe this series should be read in order; otherwise it will take away from the extreme surprise Faegen has in store for her readers. In my humble opinion, all the novels in The Mephisto Covenant series has been perfectly executed, and I’ve loved them all immensely. I highly suggest you read all three because they’re that superb, but book three is now definitely my favorite. It’s so raw and deep, getting under your skin, leaving long lasting memories. I am excited to see where this series goes from here, especially as Faegen gives readers a hint of what’s to come in the fourth installment of this epic series. And, based on what I know from The Mephisto Mark, the fourth installment is going to go into uncharted waters. It will be like none other, that’s for sure, and I can’t wait. Five stars. Pink Publishing, LLC has been extremely gracious in allowing me to read an ARC of this amazing novel, via Netgalley, prior to its release on September 24, 2013.